Back in the mid 90’s, we started raising animals differently. We have been on a journey to form a closed-loop, vertically integrated production system for the past 25 years. Grazing fewer, larger herds on smaller parcels of land has helped us give our pastures the time they need to recover for regrazing. It’s taken great infrastructural investments to create the smaller grazing paddocks, but moving the cattle, goats and sheep, poultry and hogs through more quickly has proven successful in better grass regrowth. Over the past year, the Savory team has been hard at work developing the Ecological Outcome Verification Program, which is a system to verify that the holistic model that we are practicing and incorporating in our operations is doing what we intend it to do. “We intend to make the soil more biologically alive with increased carbon content to have more organic matter,” said Will Harris. Land is like a movie, not a picture- cycles in cycles in cycles, each piece part of a much bigger picture. Back in the 70’s at the University of Georgia, Will was required to take a series of soils classes. They ranged from soil chemistry to soil structure, but nothing was ever mentioned about soil health. In fact, there were even a few chapters on soil fumigation, which recommended killing all of the naturally occurring microbes, and replacing those nutrients with chemical fertilizer. Land at White Oak Pastures used to be viewed as ‘how many pounds of beef can we produce on each acre for the least amount of money possible.’ Today, we take pride in slowly feeding the microbes that feed the plants that feed the animals that feed our customers. 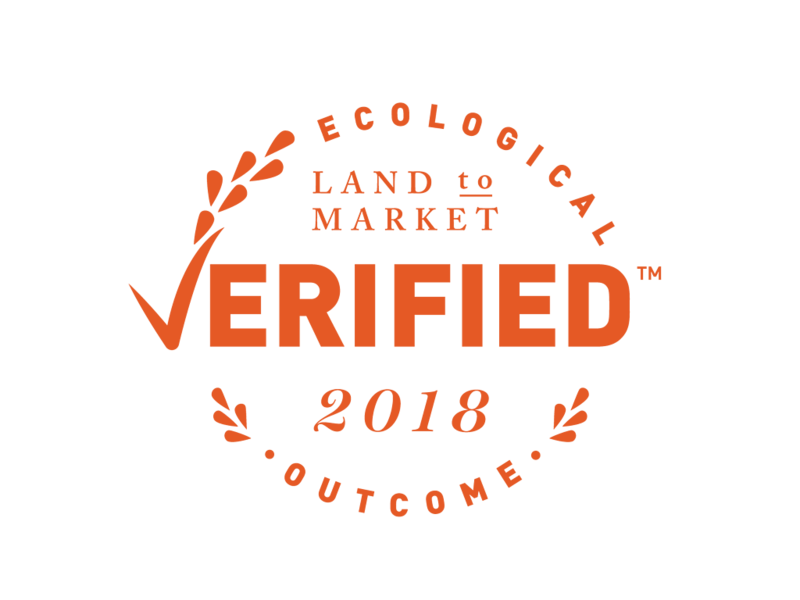 The Ecological Outcome Verification program is evolving and enabling us to verify that what we’re doing is better for the land and animals. 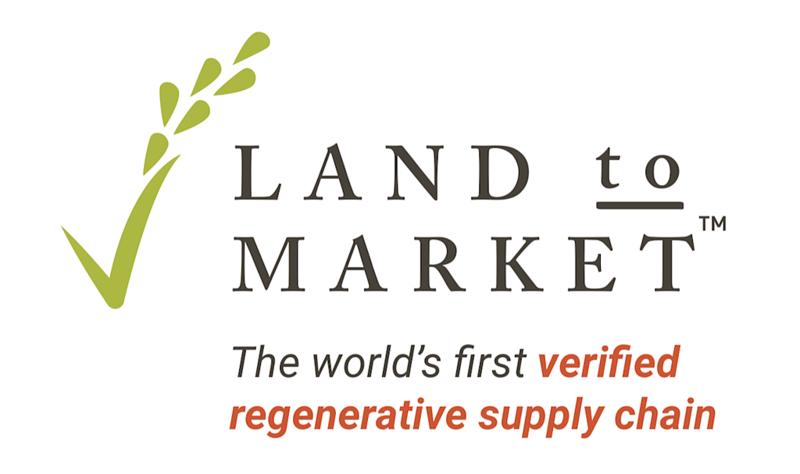 The products produced in systems like ours will be marketed with a seal called Land to Market. This seal allows consumers, who want to support this kind of practice, to know that we, and the others, are the places to support. We did not implement these production practices to sell more product; we did it because it was the right thing to do. As a result of practicing these production techniques, we have sold more product because customers genuinely care about the way agriculture affects the land, animals and communities around it. We are excited to be early innovators in easily identifying these products in the marketplace. For consumers who want to buy food as cheaply as they can, they shouldn’t support this seal. If consumers have studied the food production system and have made some choices about how they want the world to be, then they should support the operations that are following the practices focused on generating land. We all spend money each week on food and clothes. If those funds could be directed to businesses that place priority on the environment and local economy, why wouldn’t you want to buy these items? 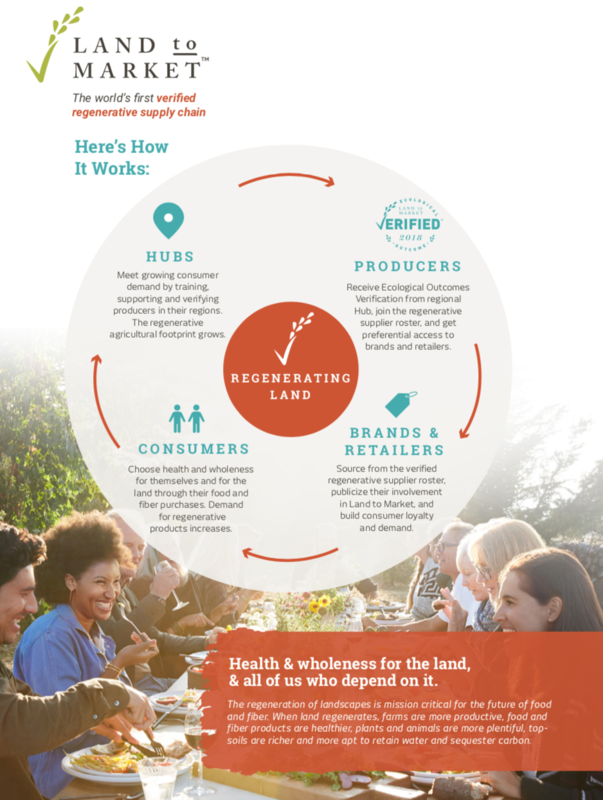 For the past twenty years, we have elected to move toward production practices that are more regenerative for our land. We made those decisions independent of the Land to Market Program. However, the Ecological Outcome Verification process will allow us to verify that we are making these changes. The Land to Market and Savory Seal encompass more than just what is on the label. The product is environmentally beneficial, incredibly high quality, and raised in a conscionable manner. We routinely hear from customers who are tired of being tricked by labels. There are so many verification processes that it’s hard to keep track of what means what. In addition to just keeping track, let’s not even take into account the level of intentional confusion that’s caused by marketing companies. When you farm responsibly, you incur costs that must be extracted back out of the marketplace. We are hopeful the Land to Market seal will allow consumers to readily recognize these products, and drive up demand for these production systems. 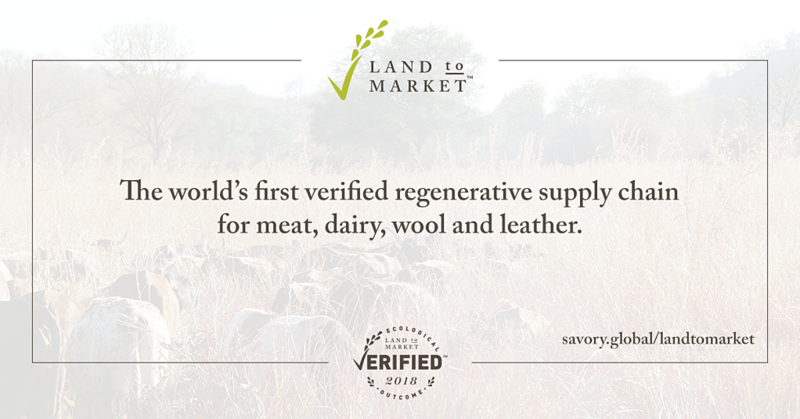 We believe that the Savory Land to Market program will give consumers exactly what they are looking for: a complete label that verifies the environmental impact of those products.